Are you looking for a luxury SUV that’s also compact? The BMW X3 has been rated in the top of luxury compact cars by US News & World Report. The latest lineup has all new powerful engines, nimble handling, spacious seating, and lots of room for cargo. In addition, some of the new models have been given upgrades, and there are a host of new standard features, such as driver assistance options. 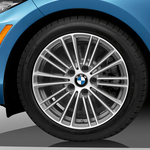 Having good tires on your car is the best way to ensure a smooth and safe ride regardless of the weather and road conditions, and the BMW Road Hazard Tire Coverage is the perfect way to ensure your tires give you the best possible ride or as long as possible. 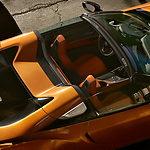 Stop at BMW of Northwest Arkansas and get all the information you need on this valuable coverage. 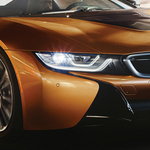 The name BMW is synonymous with quality and luxury. 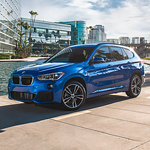 If you are looking for a Sports Activity Vehicle that carries these traits to cruise the byways of [location], then looking for one built by BMW is a wise idea. 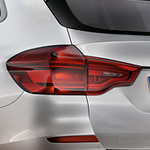 In particular, the BMW X1 has you covered. 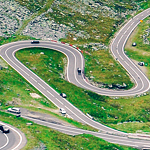 What Is Oversteering vs. Understeering? You may have heard the terms oversteer and understeer in the past. These two steering problems happen under different circumstances, but both can lead to accidents when drivers lose control of their vehicles. Oversteering happens most often when driving a rear-wheel drive vehicle that has a powerful engine, such as a sports car or a truck. It's caused by a loss of traction on the rear wheels as you take a turn with too much acceleration. The rear of the car fishtails and causes the front end to turn more than the driver intends. While you drive around in Bentonville, it's important to stay aware of your surroundings. However, sometimes other vehicles can pop up unexpectedly. To help you get a better sense of when it's safe to turn or change lanes, you can get a vehicle with a blind-spot monitor. We have several models with blind-spot monitors and other safety features on our lot at BMW of Northwest Arkansas. Blind-spot monitors are useful because they can alert you when a vehicle is just behind you and in an adjacent lane. Electric vehicles are becoming more and more popular as consumers wish to drive something that can make a positive environmental impact while still looking and performing lie a normal vehicle. That is why out friends here at BMW of Northwest Arkansas are so excited to introduce you to the all-new BMW i Models! Full-sized luxury sedan owners prefer the BMW 7 series for the comfort and exquisite style the vehicles provide. The chrome grille, wheels and accents along the body and around the windows create a distinctive appearance on the new BMW 7 models available in Bentonville. Potential BMW owners also have a choice of either an inline V-6 or a high-performance V-12 engine depending on the level of power you desire. In this way, you get either 320 or 445 horses under the hood having a capability of achieving zero to 60 in 5.1 or 4.3 seconds.